What Makes Marilyn a ‘Timeless’ Icon? 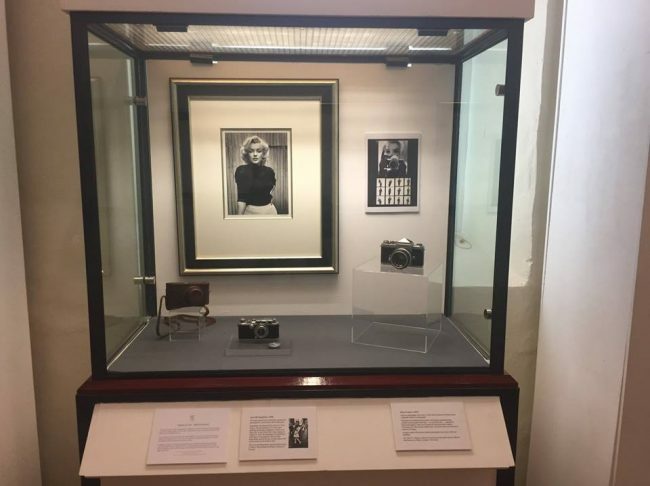 Marilyn Monroe: Timeless, the exhibition which opened at Moyse’s Hall Museum in Bury St Edmunds on June 1 (Marilyn’s birthday), remains on display until September 30. Among the photographs is an important Monroe artifact – the framed Cecil Beaton ‘triptych’ gifted to her by Joshua and Nedda Logan in 1956, when she married Arthur Miller. 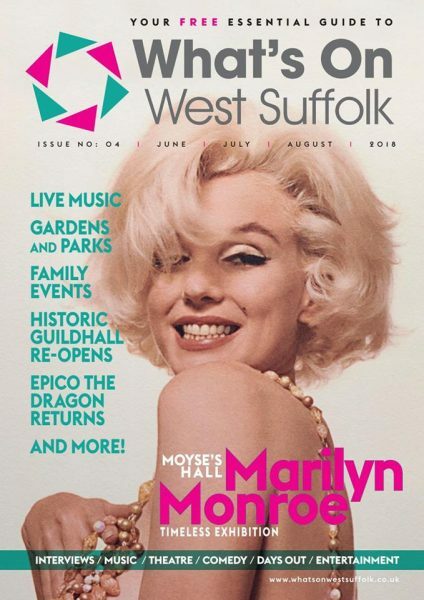 Over at the Eastern Daily Press, arts editor (and MM aficionado) Andrew Clarke asks why is Marilyn – along with only a few other stars, like Steve McQueen and Audrey Hepburn – still iconic today? “Marilyn continues to transcend time. All these pictures were taken between 1948 and 1962. They are a window into a life which has long since ended and reveal a world that no longer exists. Marilyn lived at a time when Hollywood studios still had stars under contract and America was yet to be scarred by the Vietnam War and long-drawn out wars in the Middle East. These images shouldn’t speak to us but they do. Marilyn Monroe, as the exhibition makes clear in its title, is timeless. She has a talent and personality that not only continue enchant fans who grew up with her but, judging by the age of my fellow visitors, who were largely young women, she continues to attract new fans. Although her films continue to find new audiences – restoration film company Park Circus have re-issued Gentlemen Prefer Blondes and Some Like It Hot in recent years – the real secret to her success is that her image speaks louder than her work. This then begs the question when does a star become an icon? Stars fade but do icons live forever? It’s an interesting question. If that is the case, what attributes do you need to become an icon?